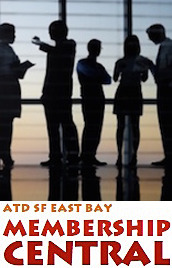 ATD SF East Bay - The Canyons: "Exploring the Gaps Between Leaders, Managers & Doers"
The Canyons: "Exploring the Gaps Between Leaders, Managers & Doers"
Last year, Bennett Philips spoke to the chapter on the Symphony Performance Management model. That meeting was so well received that we’ve invited him back. 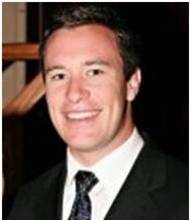 This month, Bennett will lead a discussion on how to create engagement by bridging the canyons between senior leaders, managers, and “doers” (employees). The premise for The Canyon and the associated workshop is simple – capture how people at any level of an organization feel using icons, infographics, quotations, and metaphors. The key to The Canyon’s success is that it ensures every single person in the business is represented within it. Whether a C-suite executive, a middle manager, or even a newly hired intern looks at it, they see that The Canyon properly captures their reality in a visceral way. It’s about conveying to people at all levels that we know what it’s like to be them – validating their feelings and frustrations. Using visual metaphors to depict common challenges in engagement allows participants to address issues that may otherwise be difficult to express in words. It also provides a safe space to raise concerns and frustrations.